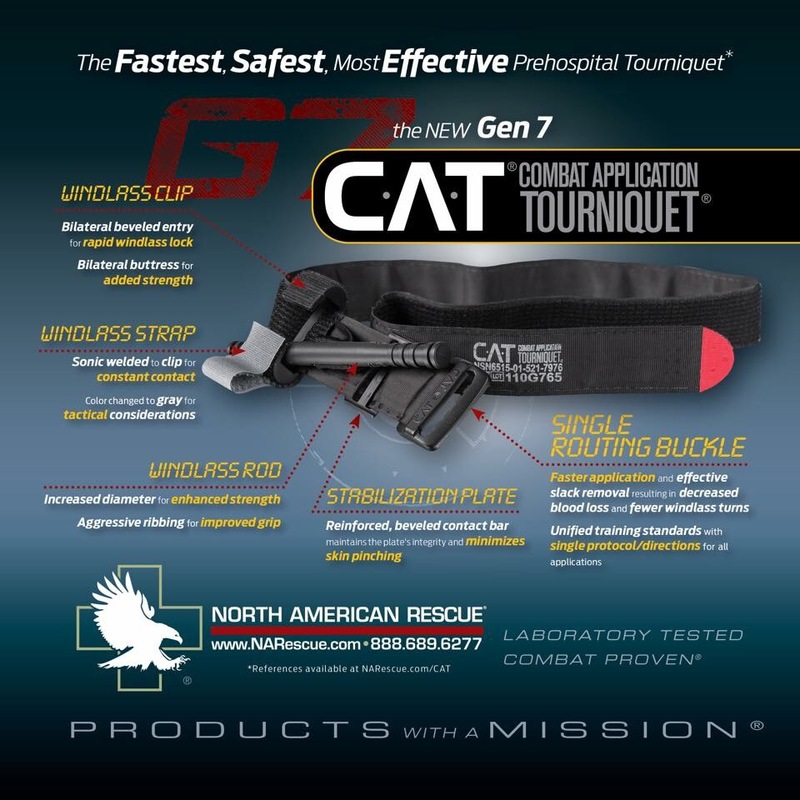 North American Rescue is updating their popular Combat Application Tourniquet (CAT). The graphic above displays the new features. A strengthened windlass rod, clip, and strap address the issue of high torque when the unit is applied correctly. As we found during TCCC training earlier in the year, dual routing of the strap through the buckle is better, but a little difficult with one hand since the strap has trouble sliding. The new single routed buckle with teeth should help preloading and administering the CAT in all conditions. This entry was posted in Medical, Officer Safety, Street, SWAT, Uncategorized and tagged CAT tourniquet, North American Rescue. Bookmark the permalink.